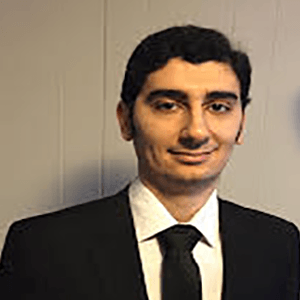 Masoud Loeian is a research scientist at Worcester Polytechnic Institute. His background is on “Nano Mechanics” and his focus is using micro and nanomaterials for developing new sensors and actuators. He has been involved in a project for detection of circulating breast cancer cells at early stage using only a blood droplet sample. This cutting edge technology uses carbon nanotube (CNT) micro array biosensors. These CNTs are semi conductive and when the cancer cells are attached to functionalized tubes, they will change the electrical signal of CNT based biosensor. Improving the performance of electroactive polymers using 2D nanomaterials is a recent successful story of his work. He is also interested in Nanocrystallization of alloys using Ultrasonic systems.